Aren't Sundays sweet? :) I am soooo excited to announce that I will be joining the Cupcake Inspirations Challenge design team beginning today...woot woot! This week's challenge, sponsored by Whimsy Stamps, is to create a project inspired by the deliciously cute cupcake shown above. Yum! 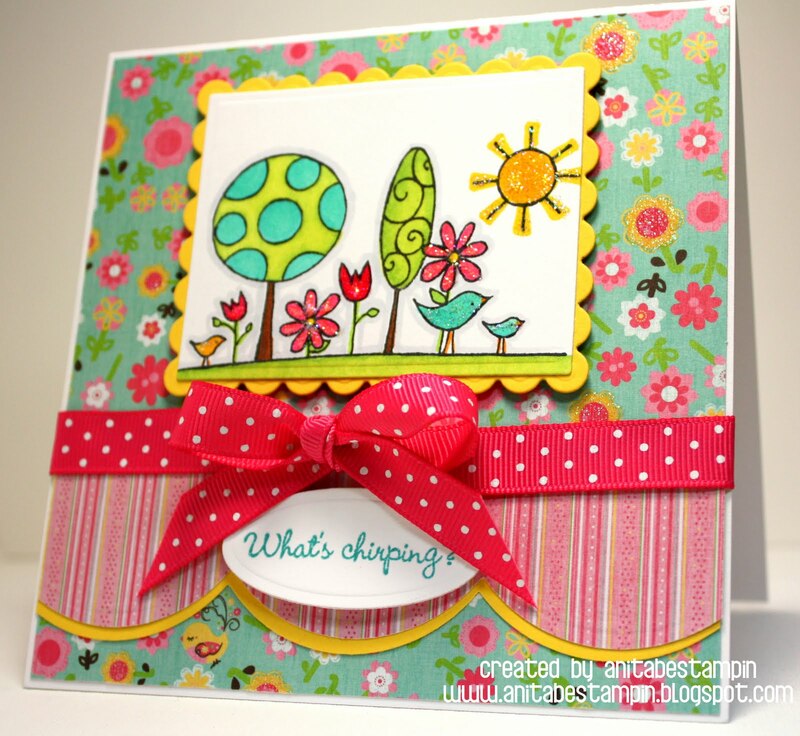 I hope you'll stop by and join us for this fun inspiration challenge over at the CIC blog. 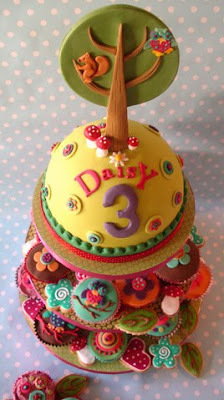 Here is my first ever creation as CIC Sweetie...tada! LOL I know I just used this image for my last card, but it just fit the challenge theme so perfectly that I had to use it. I hope you won't mind (wink). Please visit the CIC blog to join in on the challenge and visit the rest of the CIC Sweeties for even more inspiration. So Pretty !! Love your card..great colors! Wonderful card. It's so cheery and fun. Happy to be on board with you as a "Sweetie". Too cute, Anita! What a sweetie, for sure! Hi Anita! What a fun card! It's so bright and cheerful! Great job on this challenge Anita!! Wonderful colors that match so well to the photo! It's good to be a DT member with ya! Congrats Anita!!!!! I LOVE your card! Fantastic colors!! Loved this challenge and your card is SPECTACULAR! Thanks for sharing!